LOT 5, NORWAY HIGHLANDS SUBDIVISION. 2.46 Acres. Perc test for mound system. Private well required. Outbuilding permitted up to 1,040 SF. 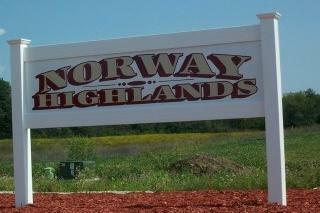 Norway Highlands Subdivision consists of a total of 20 lots with a beautiful rolling topography. Country atmosphere, however located within a convenient commute to Milwaukee, Racine and Waukesha. Other lots are available! Listing provided courtesy of Mel Wendt Realty, Inc..